Copyright(C) 2015. 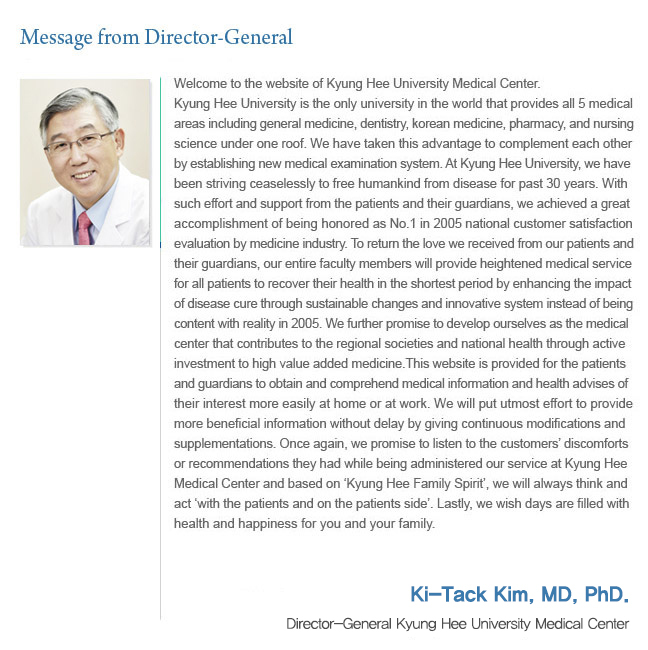 Kyung Hee University Medical Center. All Rights Reserved. 23, Kyung Hee Dae-ro, Dongdaemun-gu, Seoul 130-872, Republic of Korea.